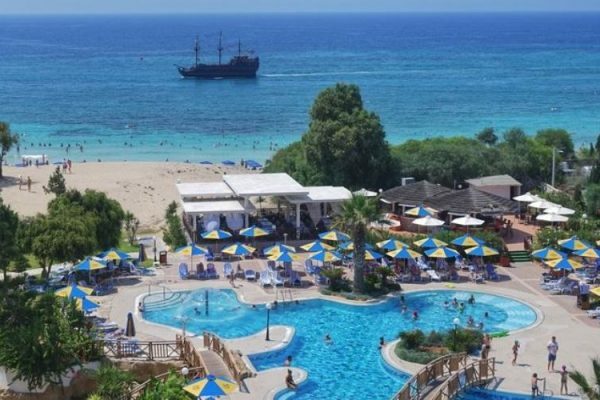 Athena Beach Hotel is a four star, beachfront hotel in Kato Paphos within easy walking distance from the picturesque harbour, the archaeological sites, the shops and the nightlife. 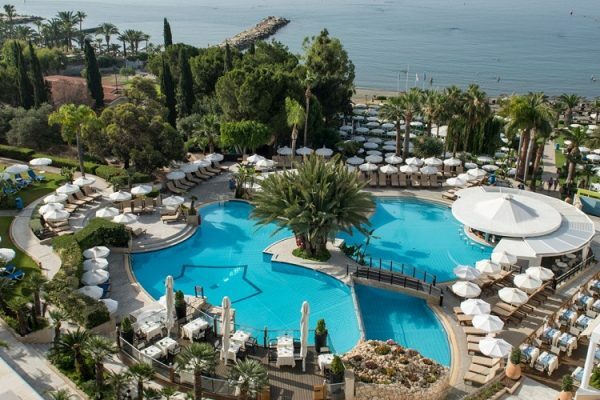 All the rooms feature spacious balconies offering beautiful views of the Mediterranean or of the hotel’s tranquil gardens. 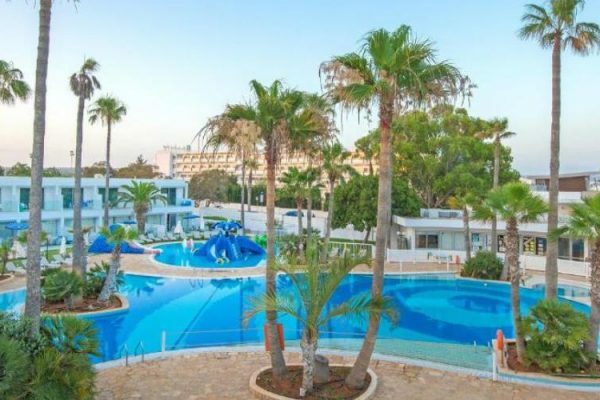 The leisure facilities of this hotel include 3 freshwater swimming and 2 paddling pools, a waterslide, indoor pool (heated during the periods 1st November - 31st March), indoor and outdoor Jacuzzis, floodlit tennis courts, a 24-rink indoor and outdoor Bowls Green facilities and a mini golf course. June 5 nights from EUR 425.00 p.p. October 5 nights from EUR 380.00 p.p.